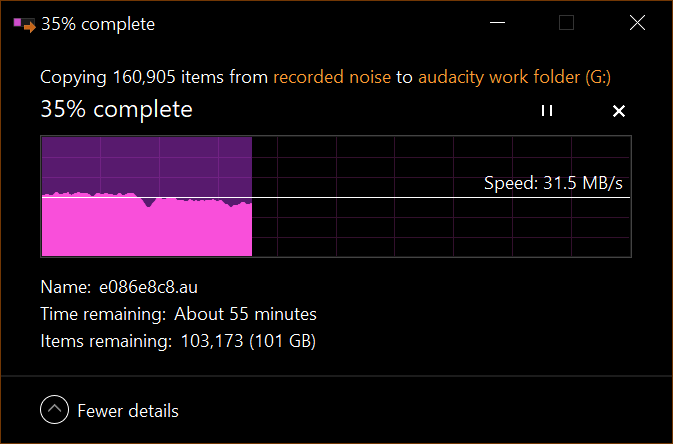 I was working today on about 160 GB of Audacity files. I recorded sound for days and now working with all the files has been a monumental challenge. 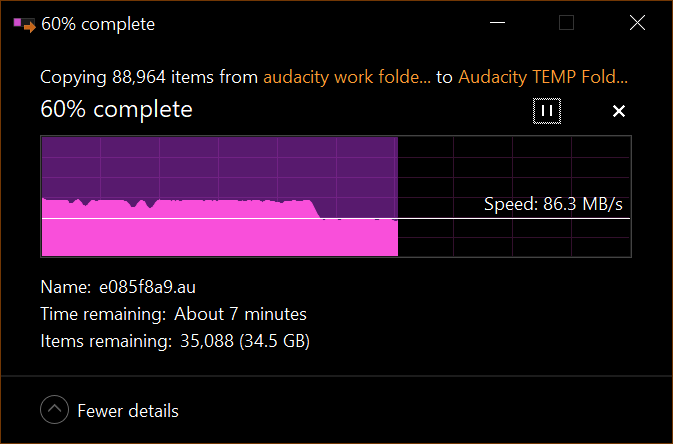 It takes a lot of patience for Audacity to process all the data and presented in a nice GUI. scrolling and zooming in you click and then you have to take a break. So I remembered that I had some spare SSD drives that I could use now and work with the files. 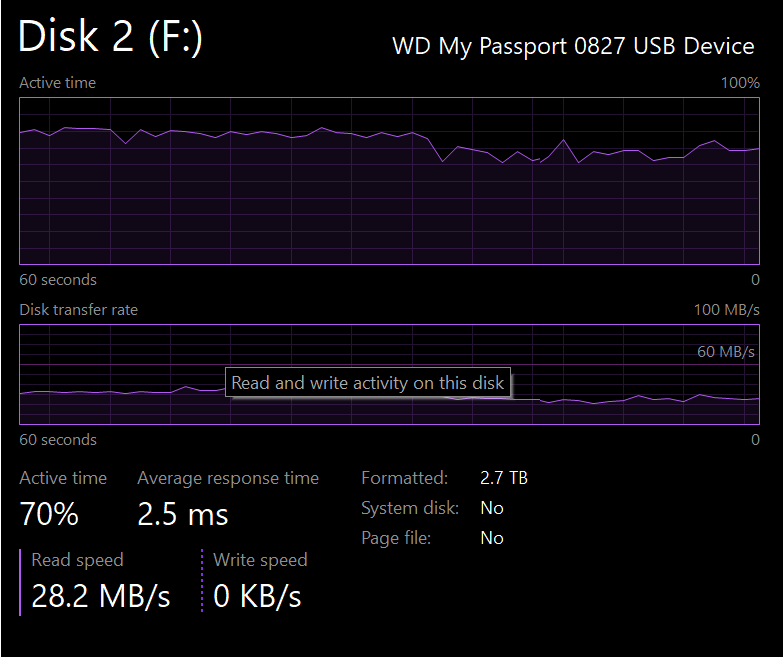 So I started transferring the files from the regular 4 TB passport USB 3.0 drive to the SSD drive. 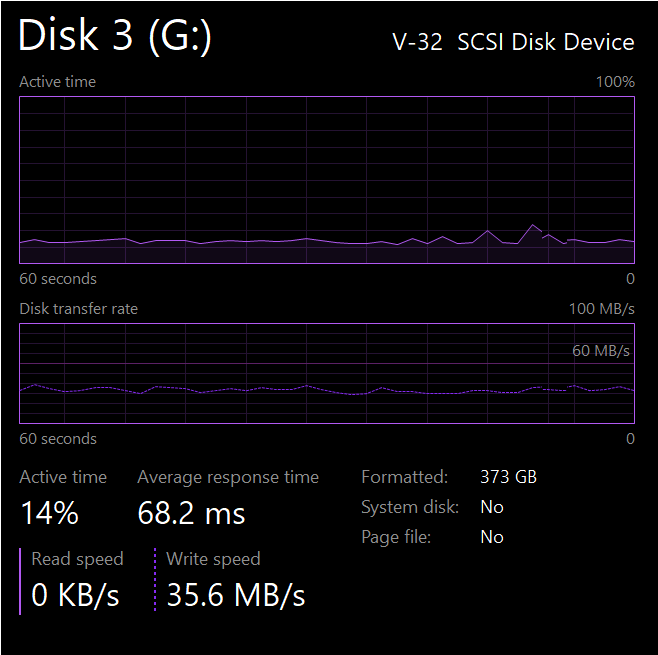 and below is an image of the throughput of both drives. Both disks are attached through USB 3.0 and we are copying from the HDD Disk 2 to SSD Disk 3. The copy job failed half way through because perhaps something was wrong with the way files were organised. I did not read the mesage but it took about 40 minute to copy about 90 GB from the HDD to the SSD. A truer test would actually let us know if the USB 3.0 would be some sort of a bottle neck. 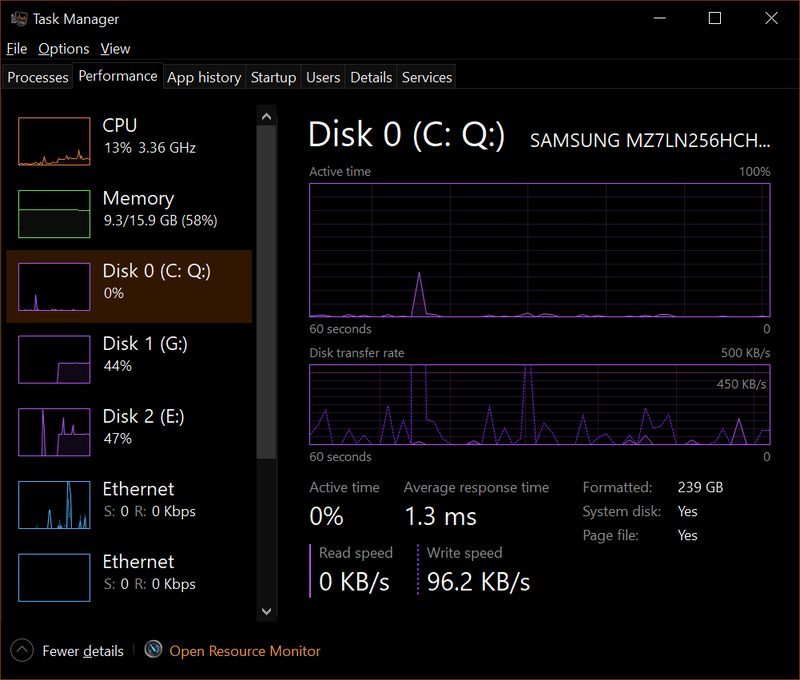 Even if the SSD disk was only using 14% of its bandwith ingesting the data. we do not know if the USB port is capping the throughput. We would have to use a second SSD disk and copy from the Disk 3 to another. preferably of the same make and capacity. Luckily we had a second identical (excepting serial number) SSD Disk and below is the benchmark. The bandwidth must be limited by the USB along with some othe parts, because the disks work at about 40% of their throughput. We also had speeds of about 130 MBs per second but the USB supplied power may have not been enough. The disks unmounted a few times. So get an USB that has an external power dapter/transformer to avoid that.